Here are some highlights from the 8th floor. Eon – Banff Deep Seating looks like wood, but is not wood. 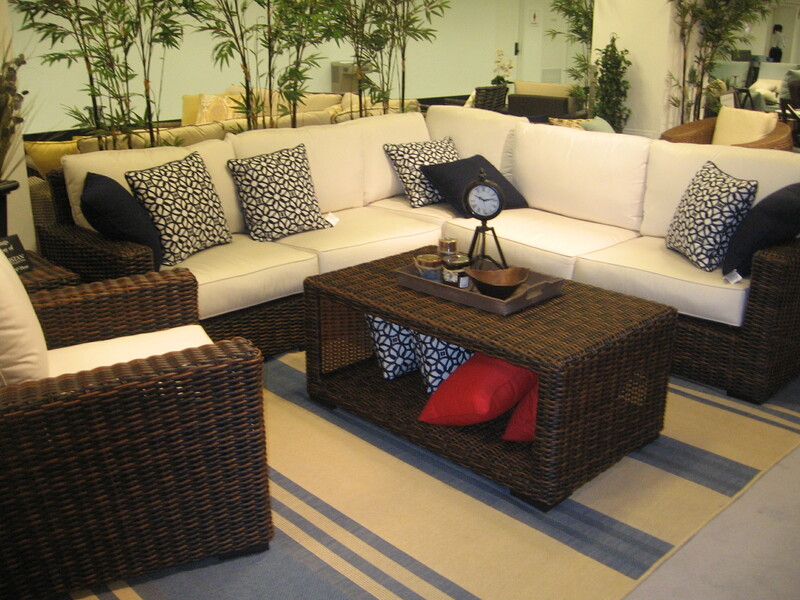 Features Sunbrella fabric and a 40″ coffee table. 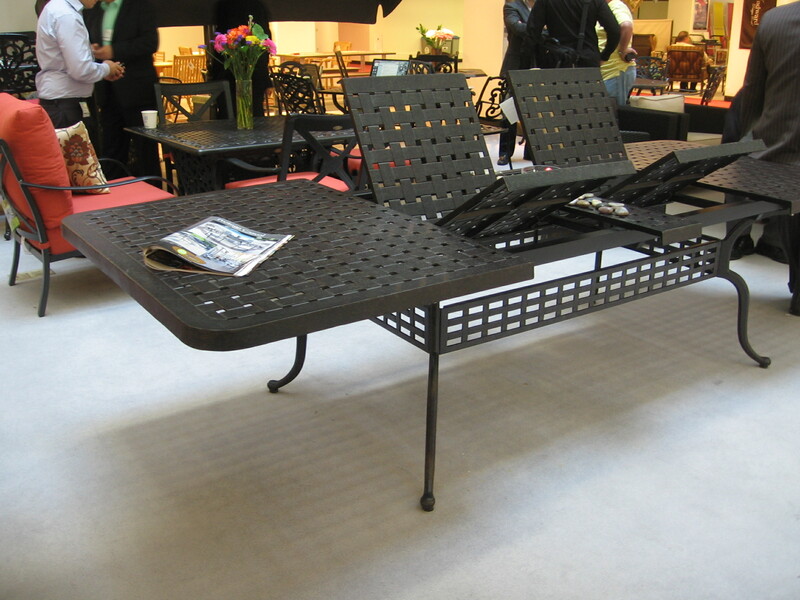 Protege Casual – This unique table from the Essential Collection is capable of expanding. 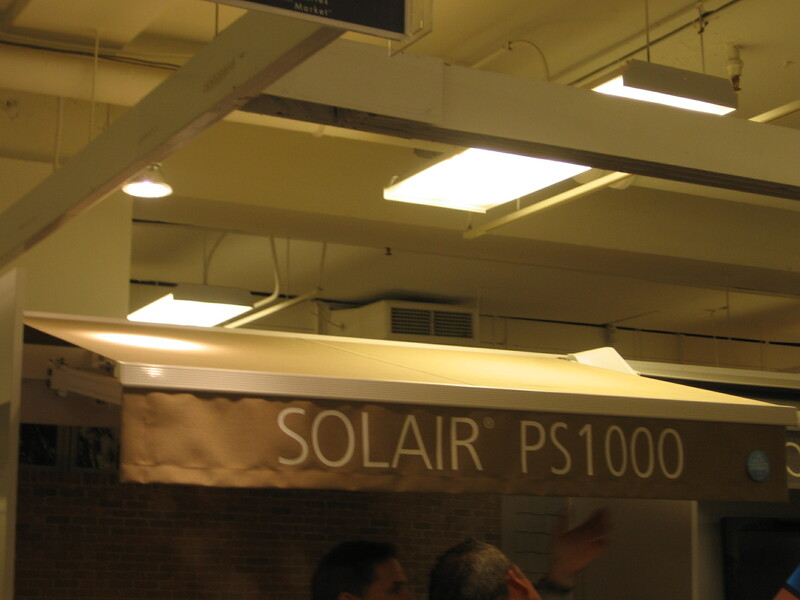 Solair PS1000 Awning – A new and low priced awning has a 10 foot width and 8 foot projection. 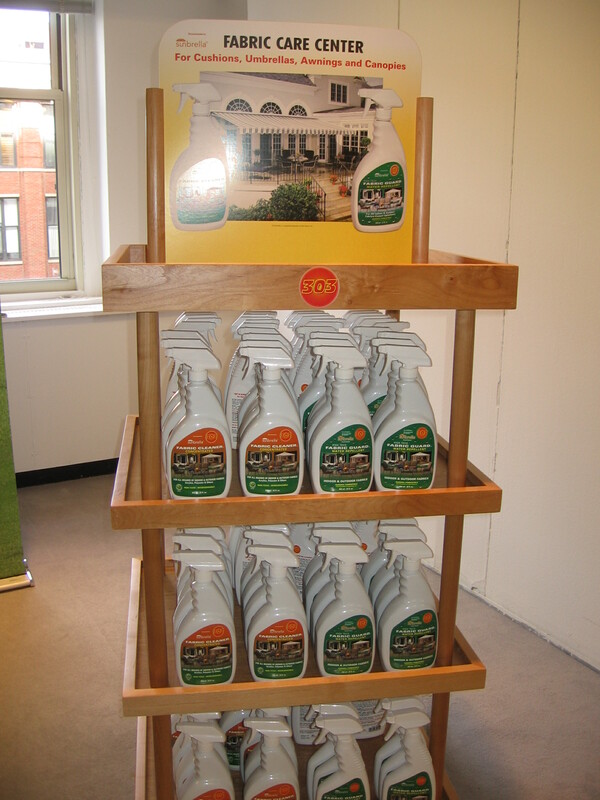 303 Products – Patio Furniture Cleaner and Protectant will keep furniture looking brand new, a perfect add-on for retailers. 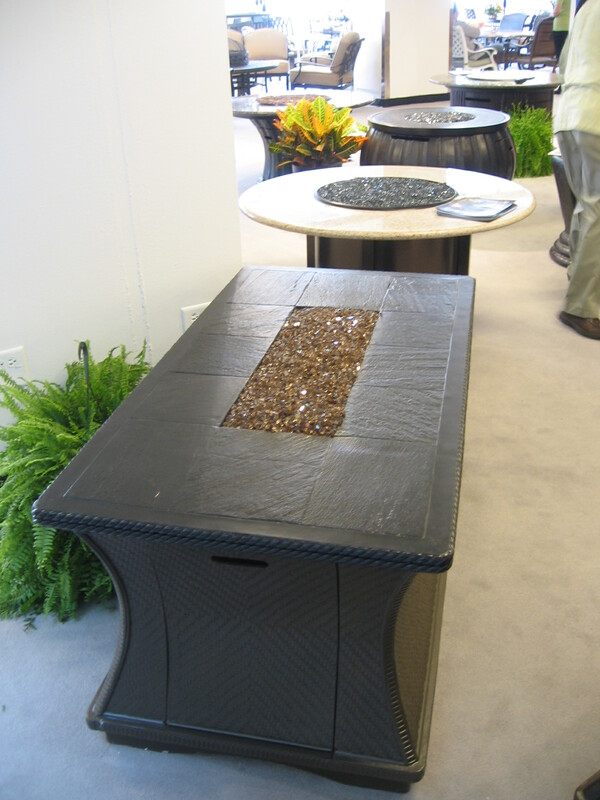 California Outdoor Concepts – A new coffee table sized version of the best selling Monterey firepit. 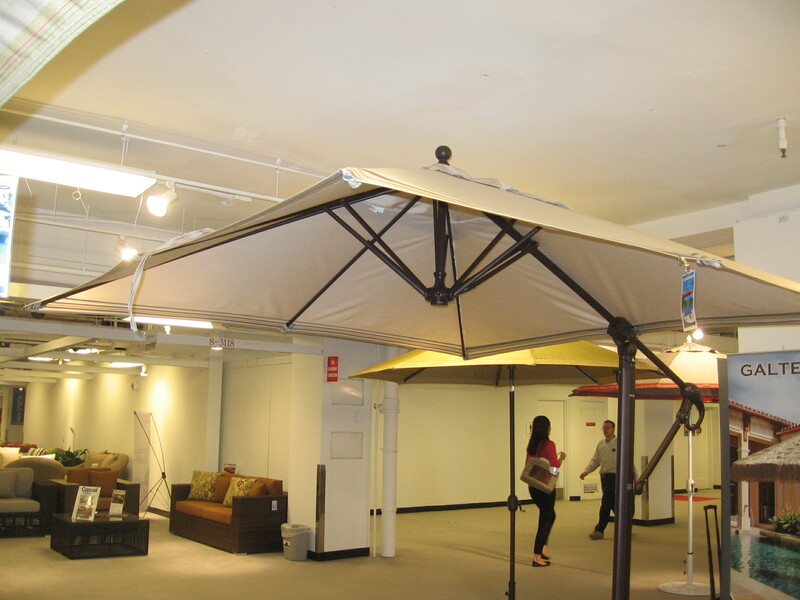 The deluxe 897 auto tilt cantilever provides maximum protection from sun and style for backyard settings. 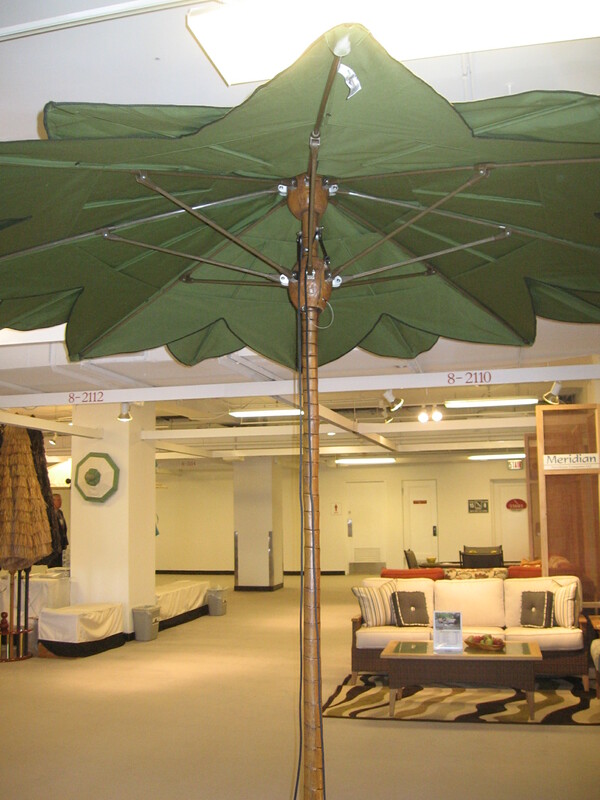 FiberBuilt Umbrellas – The 9 ft. Palm Tree Market Umbrella features fiberteak pole and finials to resemble real palm tree bark. 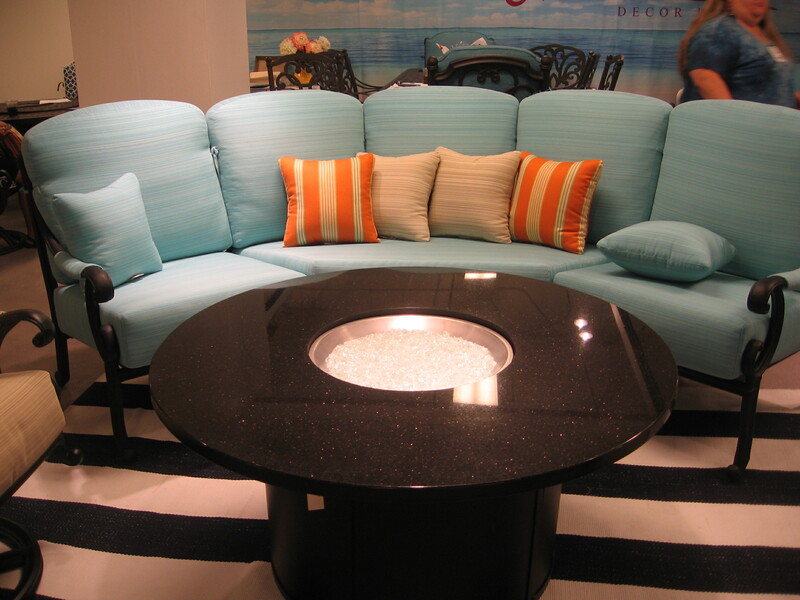 Green Sunbrella fabric is fade resistant. 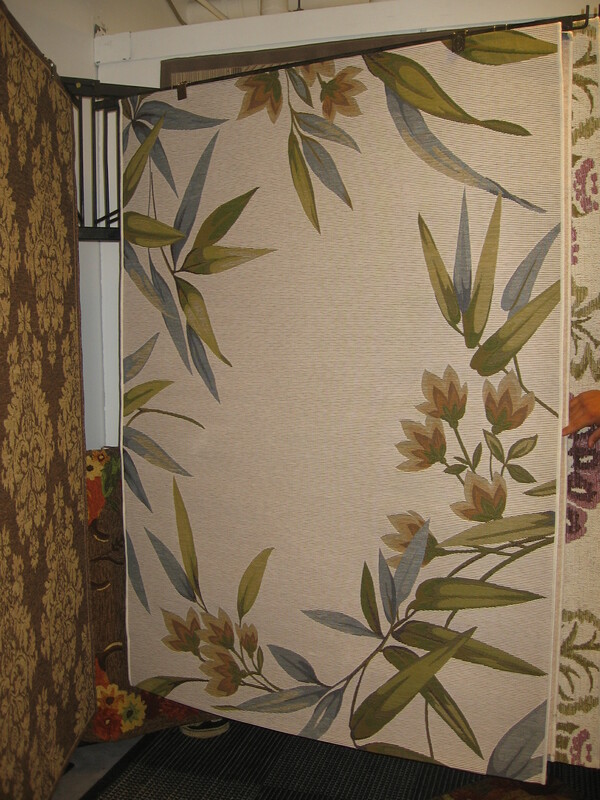 Meadow Decor – The new Athena Collection is bold, oversized, comfortable, and features cheerful colors. 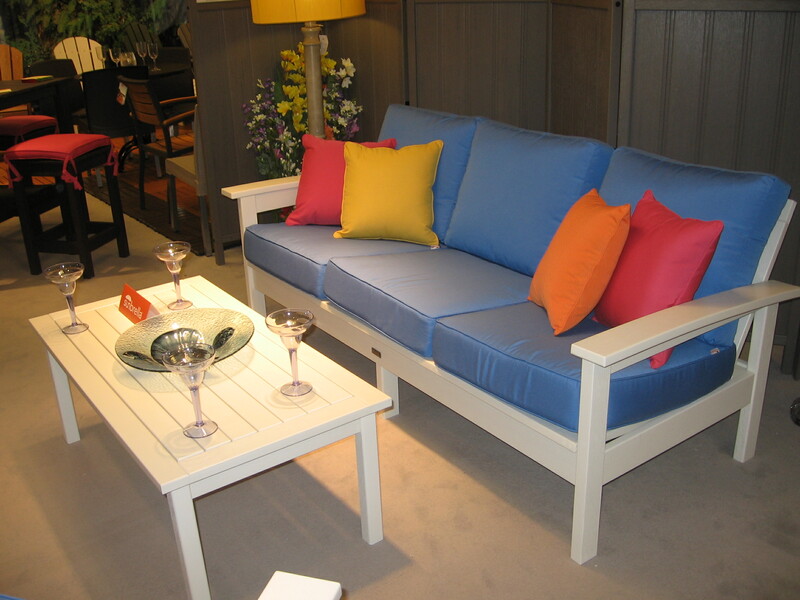 Peak Season – A perfect blend of yesterday and today, the Somerby Deep Seating options feature turned leg detail and flared arms with a large framed panel back. 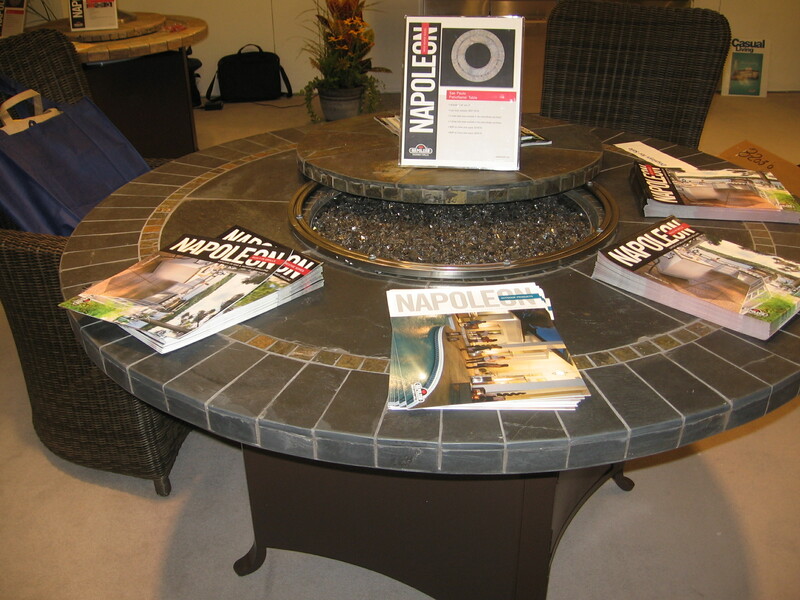 Napoleon – The new Sao Paulo PatioFlame firepit offers maximum durability and weather resistance and extends the outdoor season. 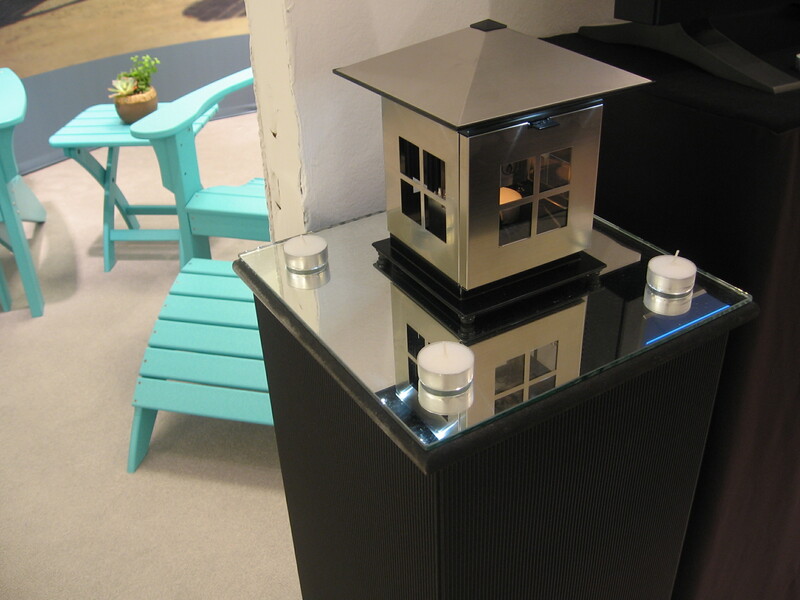 Caframo – The JOI is a novel product that uses tea candles to illuminate an outdoor space. 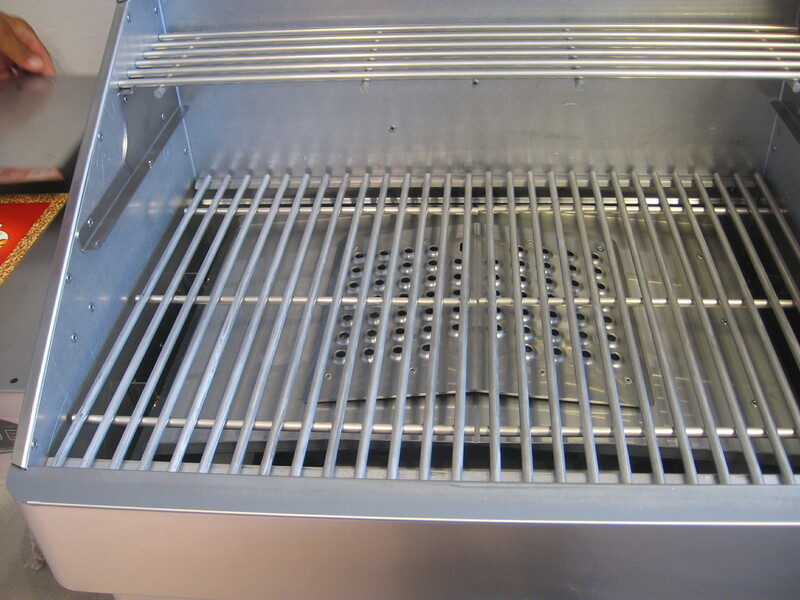 Hearthland Products – The new Direct Flame Flavorizer for the Memphis Grill provides high heat, making cooked meats juicier. Couristan – The Dolce Collection features a variety of patterns, ranging from sophisticated traditional motifs to bold florals. 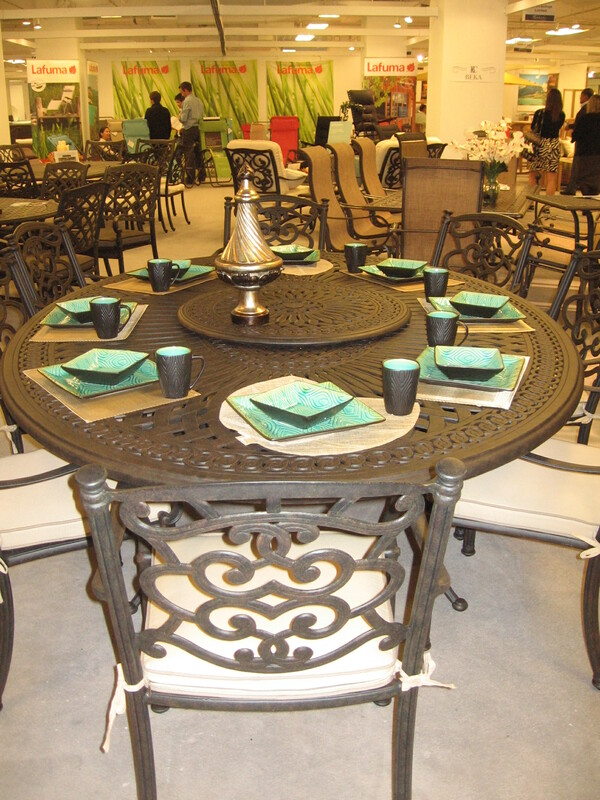 Beka Castings – Professionally crafted Empire Grand Oval table (69″ X 90″) is ideal for large groups. 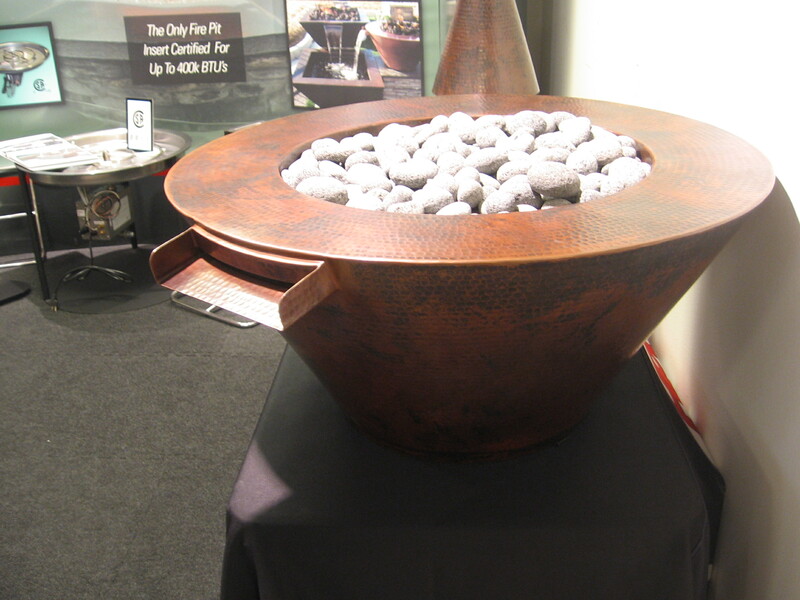 Hearth Products Control – The popular Copper Fire Bowl adds warmth and atmosphere to a patio. 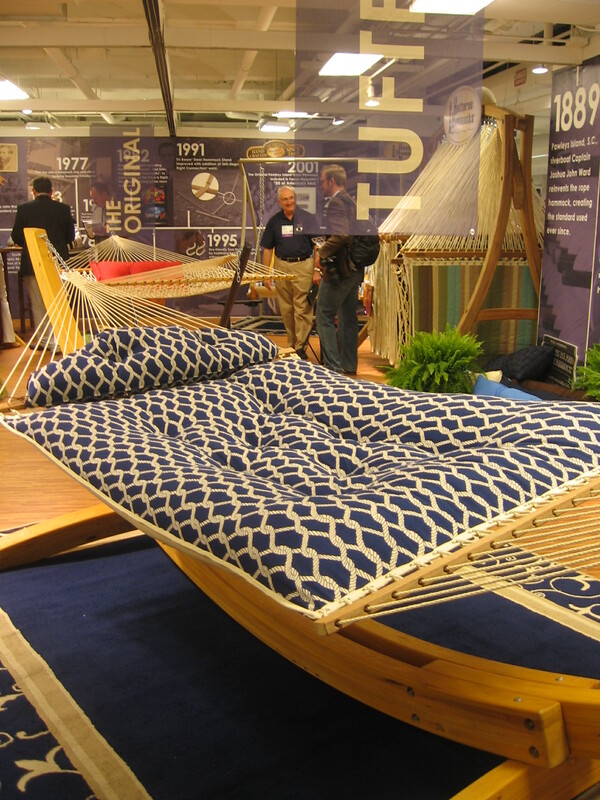 The HammockSource – The luxurious Tufted hammock with new head pillow is the ultimate in comfort. 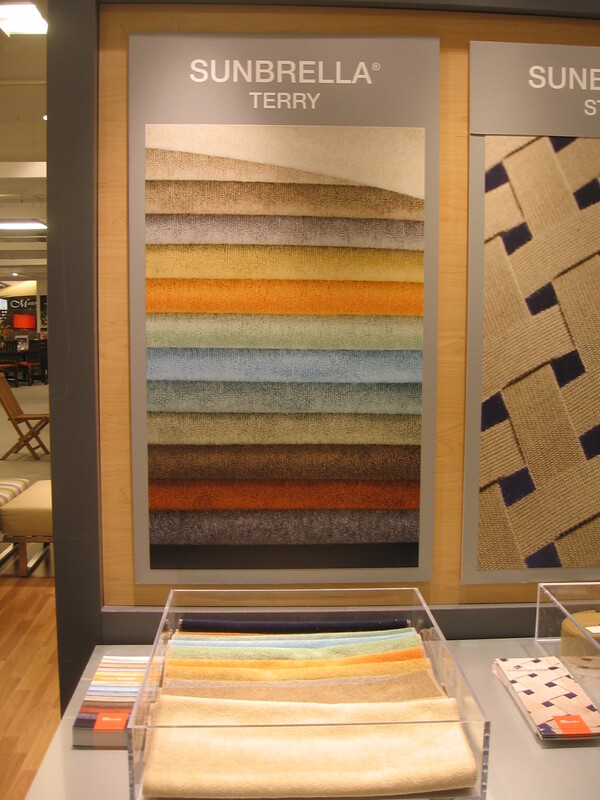 Sunbrella – Terry is a high-end upholstery fabric designed to make the most of texture, stretch, and performance. 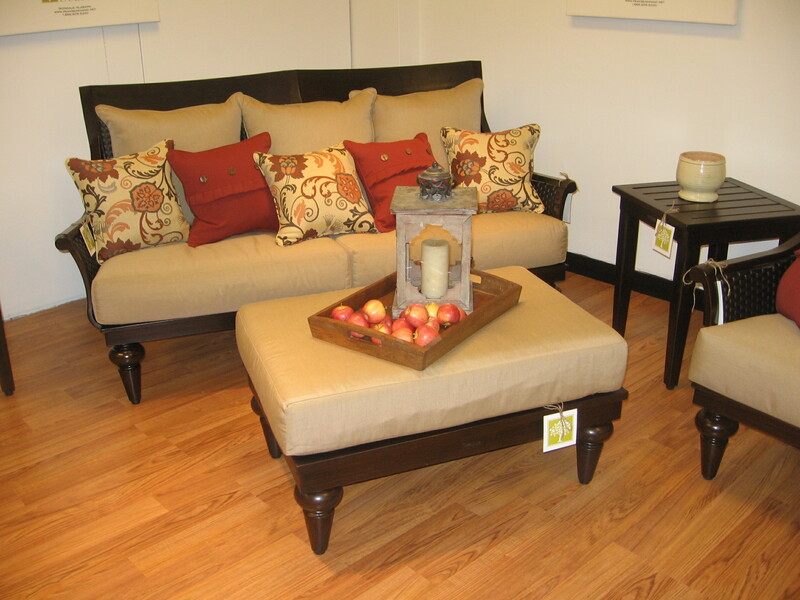 Sunset West – The new Montecito deep seating collection in cognac is a show-stopper. 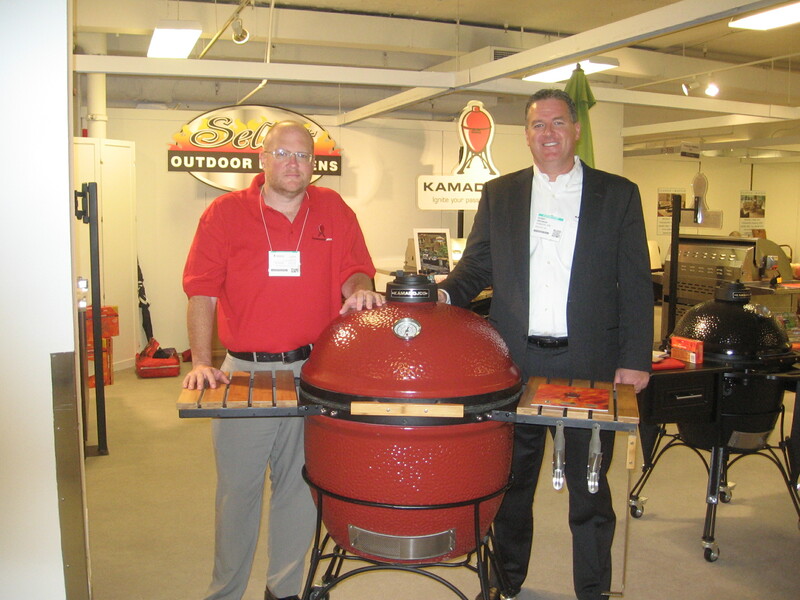 Kamado Joe – The new BigJoe features a new ash tool for ultraquick cleaning, a firebox divider, and a split heat deflector that allows simultaneous direct and indirect cooking. 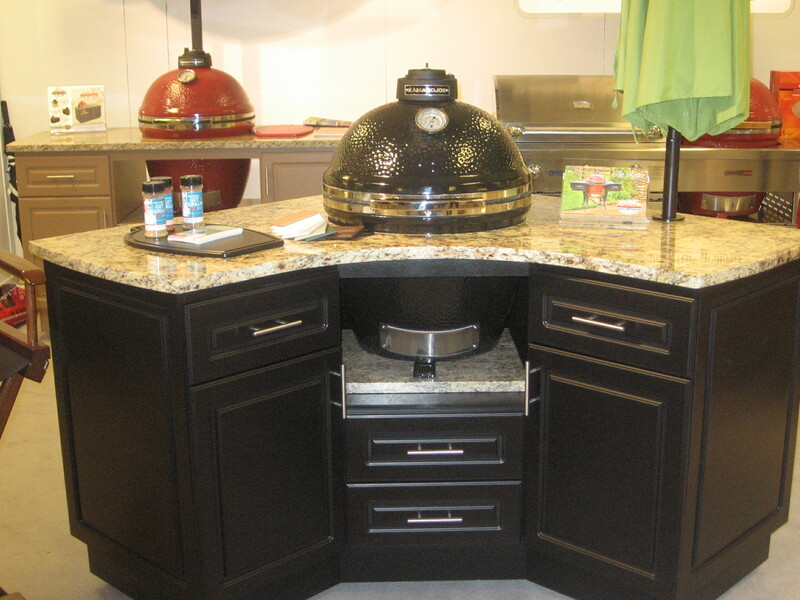 Select Outdoor Kitchens – These modular cabinets provide a decorative home for a kamado cooker.